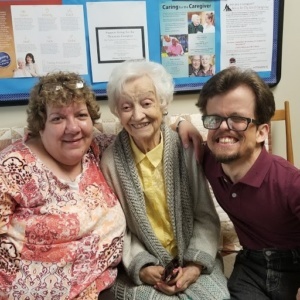 These are the words of Jonathan Teachman, who has been a volunteer with the Catholic Charities of Southeast Michigan’s Adult Day Health Services (ADHS) ministry for more than 28 years. He currently volunteers 15 hours a week at the center on Adams Road next door to Sacred Heart Catholic Parish in Auburn Hills. At the age of 19, Jonathan was hit by car while riding his bike. He spent two years in the hospital recovering from his injuries, and had to go undergo extensive therapy. That therapy eventually included job placement therapy, which led him to the ADHS program. His involvement in the ministry continues to this very day. 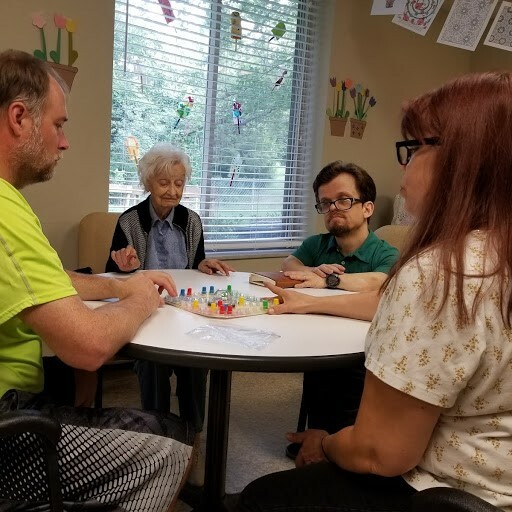 CCSEM’s Adult Day ministry is a dementia specific program that provides cognitively impaired adults with social enrichment and supervised assistance during the day. The program gives caregivers the ability to go to work, run errands or take a well-deserved break, while offering their loved one person-centered activities tailored to individual capabilities. ADHS has immediate openings for new clients at the ADHS Auburn Hills location. Contact Holly Snodgrass at 248-537-3300 ext. 3803 or snodgrassh@ccsem.org. ADHS also has an east-side location in St. Clair Shores. Contact Nikki Harvey at 586-412-8494 ext. 4014 or harveyh@ccsem.org.